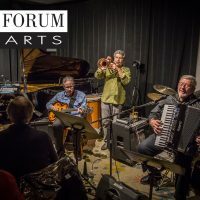 Free tickets for two at the Jazz Forum! This weekend and next. Don’t miss out! Jazz Forum is excited to welcome you with a special offer this weekend and next weekend to come to experience world class live music in a beautiful space with great wine and food. Come to any show with one guest for no cover charge. The $10 minimum per person in food/beverage is still in effect. Limit two people. 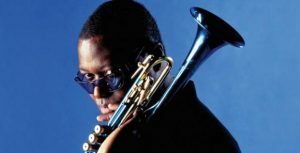 TONIGHT and SATURDAY, FEB 16 & 17 (sets at 7 & 9pm), Jazz Forum presents the legendary trumpeter, Wallace Roney Quintet. Mentored by Dizzy Gillespie and Miles Davis and an alumnus of Art Blakey’s Jazz Messengers, Wallace is not to be missed with his excellent quintet featuring Curtis Lundy on bass. If you haven’t experienced a performance by Wallace, listen here. You are in for an evening of excellent and exciting Jazz! On SUNDAY, FEB 18 for our Brazilian Music Sundays (sets at 4 & 6pm) Matt Kin’s Monk in Brazil. A pianist, organist and vocalist, Matt and his band will perform from their latest recording of compositions of Jazz legend Thelonious Monk arrange by Matt in various Brazilian genres. Have a listen here. FRIDAY and SATURDAY, FEB 23 & 24 (sets at 7 & 9pm), drop in to see & hear Nilson Matta’s Samba Jazz! featuring Dave Stryker (Fridaty) and Eric Alexander (Saturday). The master bassist Nislon Matta, founding member of Trio Da Paz, has developed his own musical signature making him a first-call bass player of Brazilian music and jazz musicians. If you haven’t hear Nilson’s music, check it out here. On SUNDAY, FEB 25 (sets at 4 & 6pm) come and celebrate the release of pianist and vocalist Philip Marucci’s new CD. Joining Phil will be Paul Meyers on guitar, Rogerio Boccato on drums, Billy Drewes on sax/flute and Vanessa Falabella on vocals. Give it a listen now. MAKE YOUR RESERVATIONS HERE for up to TWO FREE TICKETS this and/or news weekend with the discount code: FEB1625. This entry was posted in Arts Deals. Bookmark the permalink.